Kanye West's "Sunday Service" Coachella Set To Be Held At "The Mountain"
Home>Music> Kanye West's "Sunday Service" Coachella Set To Be Held At "The Mountain"
Kanye West's Easter edition of "Sunday Service" at Coachella 2019 will be held at the top of a campsite "mountain." Kanye West declined from performing at Coachella because the organized refused to allow him to build a dome. However, that clearly didn't mean that his presence wouldn't be felt at the annual festival. The artist. who recently appeared as a regular cast member on Keeping Up With The Kardashians, recently announced that he'd be bringing his weekly "Sunday Service" spiritual camp to Coachella for Easter weekend. Coachella co-founder Paul Tollett told Billboard that Ye's weekly gospel music-themed event was a perfect fit for a one-off performance at the festival. Tollett said that Kanye's people had contacted him about bringing Sunday Service to Coachella after videos of the Calabasas event made rounds on social media, thanks to Kim Kardashian. Tollett explained that it was essentially a no-brainer and believed it was a perfect fit for the annual California festival. 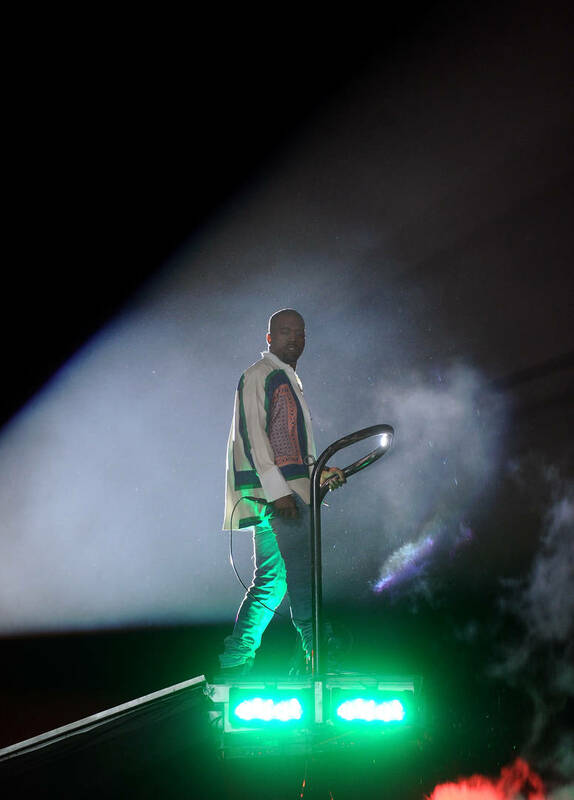 "We said of course, instantly," Tollett said, explaining how his long-standing relationship with 'Ye as well as the videos of the performances convinced him to bring it to Coachella. "It's challenging for us because we've never done this before," he added. 'Ye's performance won't be going down on a stage but rather at "The Mountain," a hillside location inside of the campgrounds. "It was suggested, 'Why don't we try this in camping, since it's in the morning and all the other campers are already there?'" Tollett explains. "Other people going to the show can come early if they want [and they'll be allowed in]," he added. Kanye West's Sunday Service takes place at 9 a.m. on weekend two of Coachella. MUSIC Kanye West's "Sunday Service" Coachella Set To Be Held At "The Mountain"